In the last two decades, advertising has been a tricky task for the tobacco industry due to the advertising ban on smoking products and more stricter policies. However, they still find a way to advertise their products indirectly. You have no idea how smart they are! Last year, I read an article saying that the world’s largest cigarette producing company Phillip Morris is advertising anti-smoking campaigns in the UK. So, a company is advertising not to buy their own stuff. That’s unbelievable. There is a twist in this campaign. If you read the above poster till the end, you’ll realize this is actually the announcement of their new products such as E-cigarette, and Heated Tobacco units (Alternative to Cigarettes) that will be launched in 2018. Clever, very clever, Phillip Morris. They deserve a thumbs up on bypassing a ban and writing a successful press release. 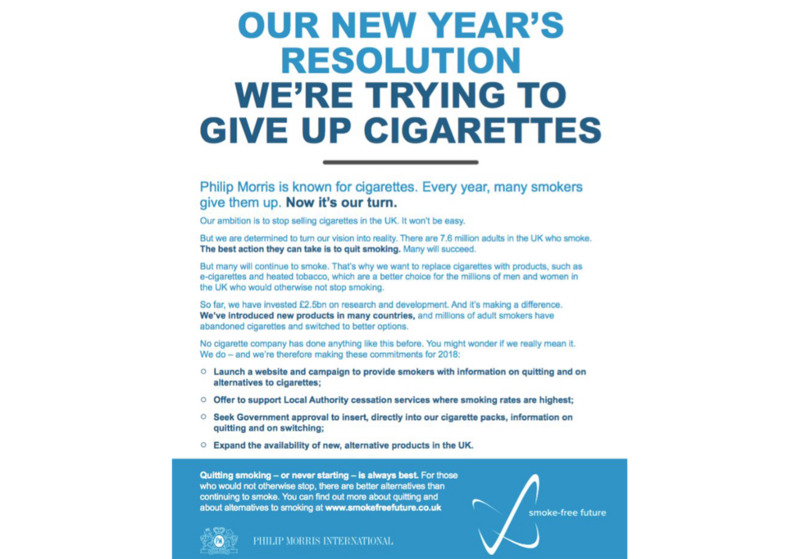 So fast forward 5 months, Phillip Morris launched their heated tobacco products with a similar anti-smoking campaign where smokers are asked to visit their website and sign up for a journey to switch to e-cigarettes or their new heated tobacco products. So, did you see what they did? 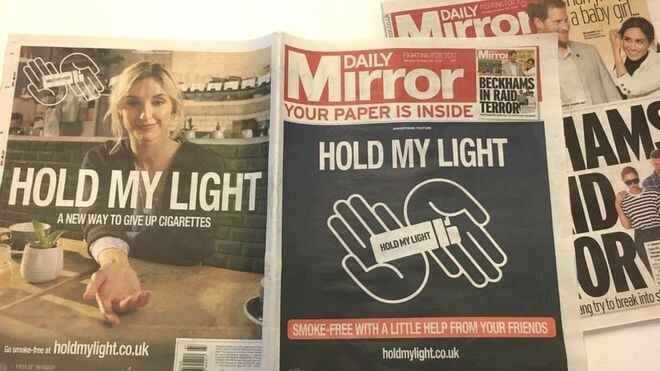 They bypassed the UK’s anti-tobacco advertising rules and found an alternative way to do a product launch and branding. It was either keep using our cigarettes or try our new product. And how it was branding? Let me explain! Tobacco customers are not ordinary consumers. They are super loyal to their brand and advertising on magazine saying, ‘Hold my Light’ or ‘Smoke-Free New Year Resolution’ won’t stop them from buying’. After these campaigns, Phillip Morris secretly hired social media influencers to promote their Heated tobacco units known as IQOS. And again, it was a successful campaign. The tobacco company was able to cheat the system with smarter and well-planned marketing strategy. However, it didn’t run for long as UK government realized what they were doing and put an end to their campaigns. Hence, the question arises: Is there any other advertising strategy left to explore for these desperate tobacco companies? The answer is yes. In fact, I have a million-dollar strategy that is yet untouched and taken lightly. And the strategy is… Indirect Content Marketing! I know its old and its been in use for years but that’s not how I see it. Last week, I wrote an article on this blog ‘Why I won’t stop smoking’ where I discussed my opinion on cigarettes and why people shouldn’t care about quitting it if they like it. Well, that was pretty much my honest opinion. It was indirect marketing for tobacco companies and a shoulder for smokers worrying about how to quit it. The best part about this strategy is: there are no policies or rules for writing positively about smoking. It is freedom of speech. Some blogs might have policies towards it, however, most will be open to accepting such pieces. I have a simpler and more generic example too; you may have watched a random YouTube video and suddenly felt compelled to travel or have you found yourself booking the same hotel repeatedly? Has this happened to you? If yes, it’s due to successful indirect content marketing! I hope you got the idea! Tobacco companies can promote their products by paying content writers (who are smokers) for their story or opinion. It can be a discussion about their smoking habit and how it positively helps in relieving stress or aids them in their day-to-day life. This tactic will provide an engaging, helpful, and entertaining content for the target audience. Thus, retaining the existing customers and gaining new ones as well. As of now, the tobacco industry is focusing on innovation and I see a big marketing opportunity for these tobacco companies in reviving their promotional activities over the internet to change the perception of smoking. I’m pretty sure content marketing can bring in a lot of new customers. Smoking has its side effects; no one can deny that. But it is just a wild marketing idea I wish to work on. 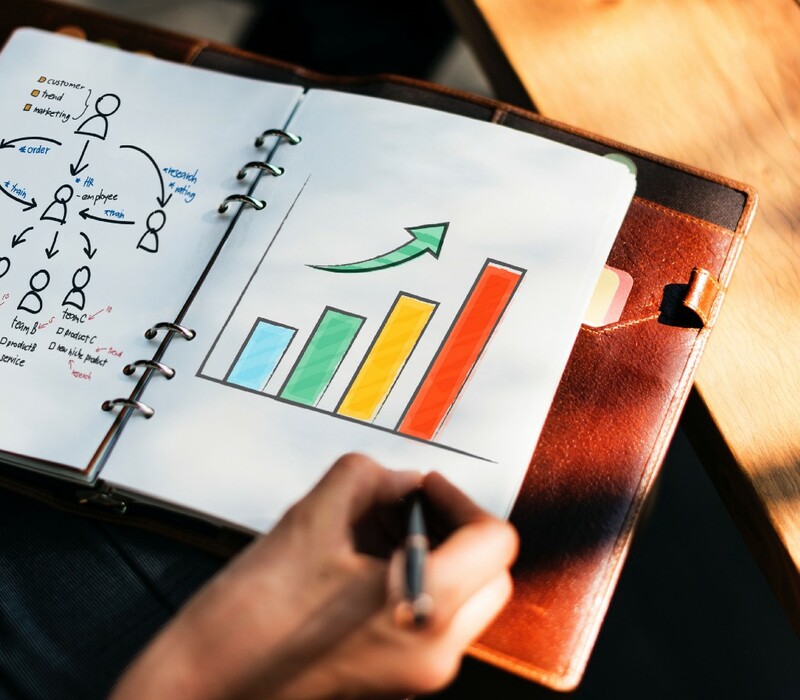 A Million Dollar marketing strategy for tobacco companies was originally published in Marketing And Growth Hacking on Medium, where people are continuing the conversation by highlighting and responding to this story.